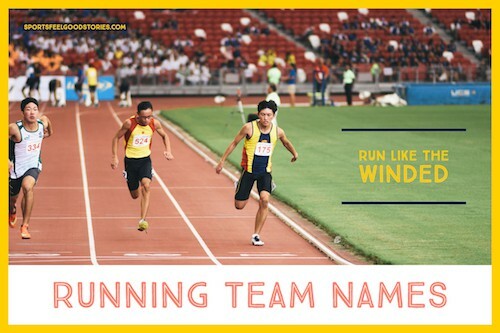 A nice selection from our running team names might give your running club or relay team that extra confidence it needs heading into the big race. Check ’em out and pull ahead of the pack. Jump to Designated Section on this page by clicking the links below. Big Dudes – Scared Shoes. Between Walk and a Hard Pace. 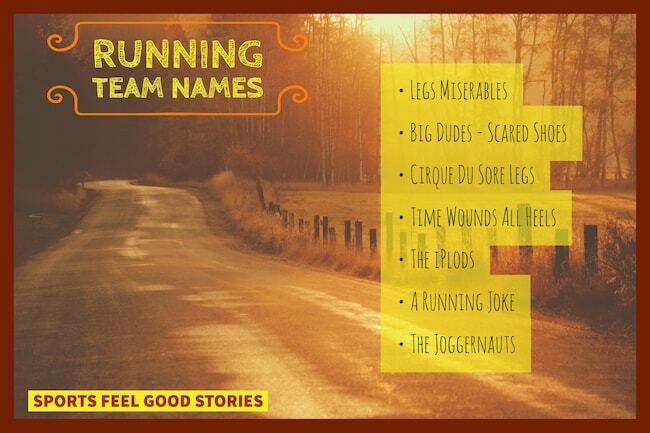 The Joggernauts (Works really nicely if there’s a Jason on your team). Better at Runnin’ Up a Tab. Keeping Up With the Kenyans. We’re Too Old For This. Brother from a Different Mudder. 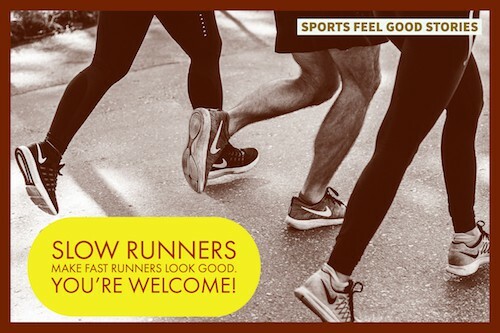 Slow runners make fast runners look good. You’re welcome! In a mud run event, participants take on a military-type obstacle course – with plenty of mud at certain obstacles – while typically dressed as if they were attending a Halloween party. Mud run events take between 30 minutes and 2+ hours to complete for most participants and are generally 6K in length. 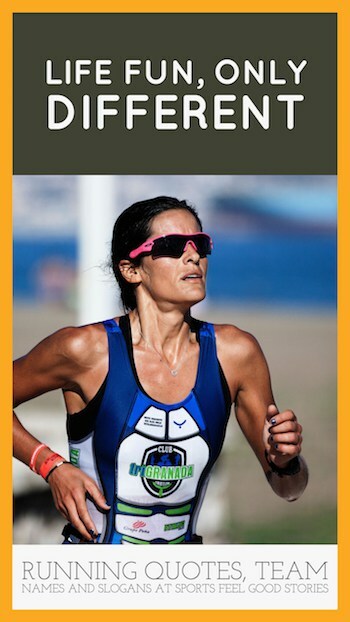 The obstacles can take considerable time to navigate, so don’t equate the length of an event to running alone. 4 Minutes off an 8 Minute pace Squad. We thought the Bib was for Eating. Fat Kids Chasing an Ice Cream Truck. Where have all the toenails gone? If I’m not back in fifteen minutes…Just wait longer. I Thought This Was A 5k. Overconfident for no good reason. Can’t Afford a Bus Pass. The Young and the Rest of Us. Our Shorts Are Longer Than Your Workouts. Consolation is still a Prize. Flat noses from hitting the wall so often. 1, 2, skip a few…26.2 miles. We Thought They Said Rum. We’re Out of Toilet Paper. Fast Feet On The Street. There’s No App For This. Get in the van…I’ve got a plan. Old Eggs With Fast Legs. Franks & Beans & KrispyKremes. Never Get In A Van With Strangers. Toe Nails Are For Sissies. How the West Was Run. The Quick & The Dead. S.W.A.T.T. – Sprinters, Walkers And Trash Talkers. Where the Wild Things Run. Blue Girl Group or Blue Man Group. Color me flying past you. Painting with all the colors of the wind. Run Fast or Dye Hard. Walt Disney Threw Up on Us. Get Fit or Dye Trying. 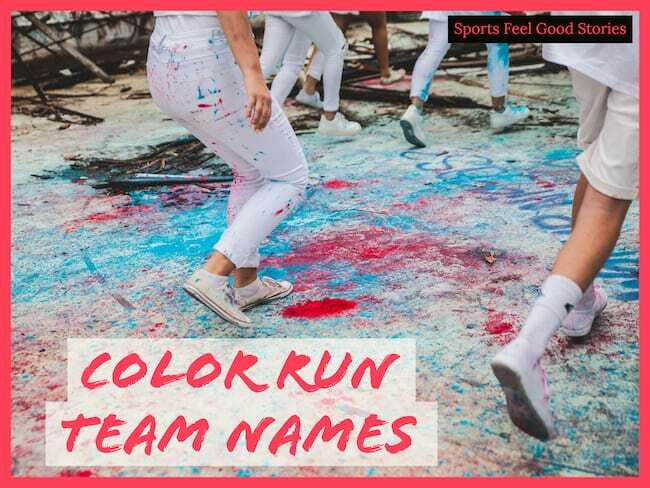 A Color Run is typically a 5k fun run. At each 1k interval, all Color runners are doused in different colors from head to toe. Runners usually wear white to start the race, but upon completion, they’ve absorbed lot of colors on their clothes and skin. Usually, the run is not timed. It’s nickname is “The Happiest 5k on the Planet.” The organization running these events are for profit ventures with a goal on focusing on health and happiness.